Oil giant OMV has today announced plans to drill for oil and gas in the Great South Basin off the Otago coast as soon as this year. 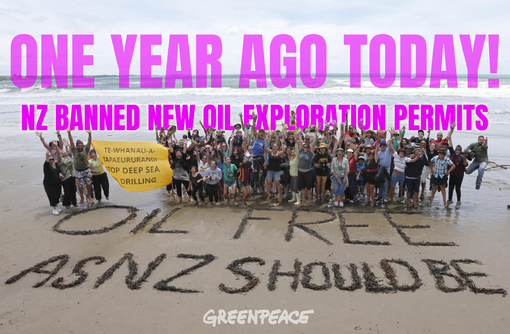 This comes on the eve of the first anniversary of Jacinda Ardern’s historic oil and gas exploration ban. The move has been labelled “disgraceful” by Greenpeace. 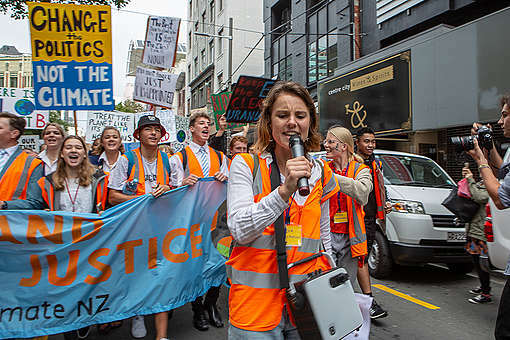 Climate campaigner Amanda Larsson says it’s an insult to the sense of pride felt by many New Zealanders about the oil ban, and the country’s role as a climate leader. “To shamelessly announce new deep sea oil drilling plans right now is disgraceful,” she says. “OMV is flipping a big middle finger to Jacinda Ardern, to all the New Zealanders who fought so hard for so long to end oil exploration, to the people who suffered in the Nelson fires, the recent storms, floods and droughts, and to the climate scientists who have so clearly said no new oil can be burned if we are to avoid total climate breakdown. On April 12, 2018, Prime Minister Jacinda Ardern made international headlines when she issued a ban on all new oil and gas exploration permits, putting more than four million square kilometres of ocean off limits for any new applications by fossil fuel companies. Larsson says the ban was the culmination of an almost decade-long campaign by people up and down the country. “New Zealanders won the ban on new drilling through a long and hard-fought campaign that saw iwi, hapū, Greenpeace, local councils, and tens of thousands of people standing together to protect our oceans, coastlines, and the climate. OMV should expect resistance if it goes ahead with this plan,” she says. The oil and gas ‘banniversary’ was due to be marked this Friday. In the time since the ban, Ardern has been hailed a global climate leader due to her willingness to demand urgent climate action on the international stage. However, Larsson says there’s a crack in the Government’s international reputation. Companies with permits awarded before the ban are still legally allowed to search for oil here. If they find it, they could be extracting and burning it for decades to come. OMV, an Austrian oil giant, holds the majority of these permits, and has quickly become New Zealand’s biggest oil player. 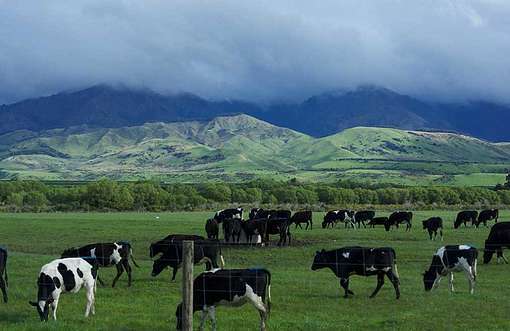 Larsson says OMV is able to drill this year in the pristine Great South Basin only because a permit that should have expired in 2018 was extended by the Ardern Government at the last minute. “Thanks to this inexplicable extension, the Great South Basin, which is one of the most biodiverse and pristine places in the world and home to Southern Right Whales, rare New Zealand sea lions, and dolphins, is now being opened up for high risk exploratory drilling by an oil giant intent only on lining its own pockets at the expense of our climate and wildlife,” she says. Further up the coast, New Zealand Oil & Gas has also just been granted a three-year extension on its drilling programme in the Barque prospect of the Canterbury Basin.